Gnu was founded in the early 80's by Mike Olson who pioneered deep carving sidecuts and has been hand building snowboards since 1977. Today every Gnu is still handbuilt by Mike and the snowboarders with jobs at Mervin Manufacturing in Washington State. 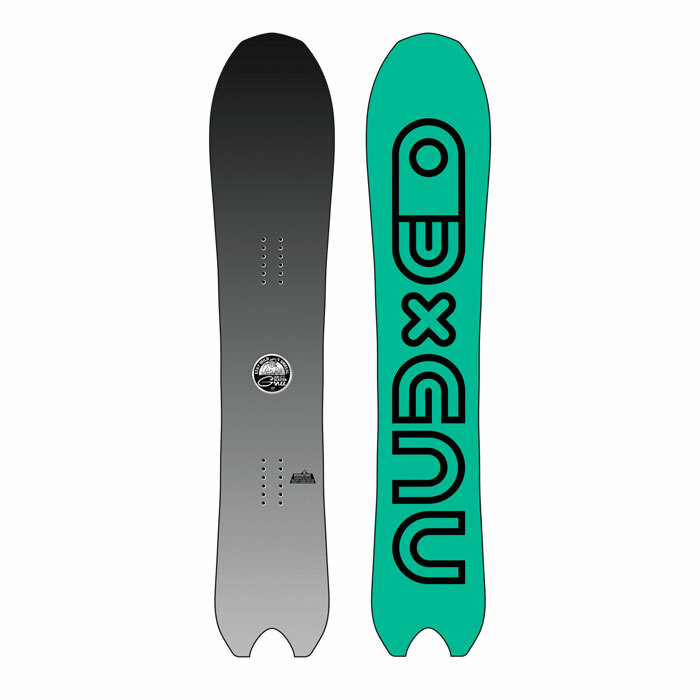 Banana tech or C2 BTX banana / camber combo and Magnetraction serrated edges are standard on every Gnu snowboard. Every gnu is built with impact resistant internal end grain sidewalls as well as tough and fast UHMW external sidewalls. Ultra-lightweight rugged "polymer bumper" sandwich tip and tails are standard on all Gnus. Steel edges are used for control along the contact area of every Gnu and are tucked in just past the contacts...heavy unecessary steel edge is eliminated from tip and tails. Portland based artist and graphic designer Tim Karpinski works with Mervin and the Gnu Art Stable to create all gnu visuals.